Why go out when you can watch all of your favorite movies on Apple TV? When you buy a movie from iTunes it is automatically stored in iCloud so you can access it from any device, including your iPhone, iPad, Mac, and Apple TV. Even if you have a digital download code for a movie you purchased on DVD or Blu-ray, you can store it in iCloud and watch it on Apple TV. Once you've purchased or rented a movie or TV show, you can sit down with a bucket of popcorn, put your feet up, and start watching. Open the TV app, either from the Home screen or by pressing the Home button on the Apple TV. Select a show or movie from Up Next to continue watching it immediately. Alternatively, scroll down to What to Watch or one of the other TV and movie sections. Click on your chosen show or movie. You'll no longer need to head to the separate Movies and TV Shows apps to watch your purchased content on the Apple TV. Navigate to the Library section at the top of the screen. Swipe to browse your library and select a title. Begin playing a movie or TV show. Swipe down to open the Info menu. Swipe down to access the chapters. Swipe left or right and select a chapter. Your movie or TV show will jump forward or backward to the chapter you selected. In an effort to avoid accidental fast forwarding or rewinding of content due to brushing up against the trackpad on the Siri Remote, Apple has changed the way you move ahead or back while watching movies and TV shows on Apple TV. While a movie or TV show is playing, Firmly press on the left or right side of the trackpad of the Siri Remote until you see the 10-second icon next to the playback status bar. The content will skip forward or back 10 seconds. Press Pause while the movie or TV show is playing. Swipe left or right to fast forward or rewind to a specific time. You'll have to do a little digging to find out which movies have iTunes Extra. It isn't easily identifiable from the browsing screen. When you find a movie with iTunes Extras, you can check out what special features it has before you decide to buy it. Scroll down past Viewers Also Watched. If a movie includes iTunes Extras, the preview section will be next to the trailers with a synopsis of the additional content and a preview of what you will get when you buy. I should note that if you have iTunes Movies video playback set to Standard Definition, you will not be able to see iTunes Extras. You'll have to switch back to HD to see and play the content. There are dozens, if not hundreds of iTunes movies that come with extras, just like they would if you purchased them on DVD or Blu-Ray. Once you own a movie with iTunes Extras, you can watch the additional content at any time. Open the Movies app or TV Shows app. Navigate to the Purchased section at the top of the screen. Swipe down and select a title. The playback menu will automatically provide the option to play the movie or access the extra content. 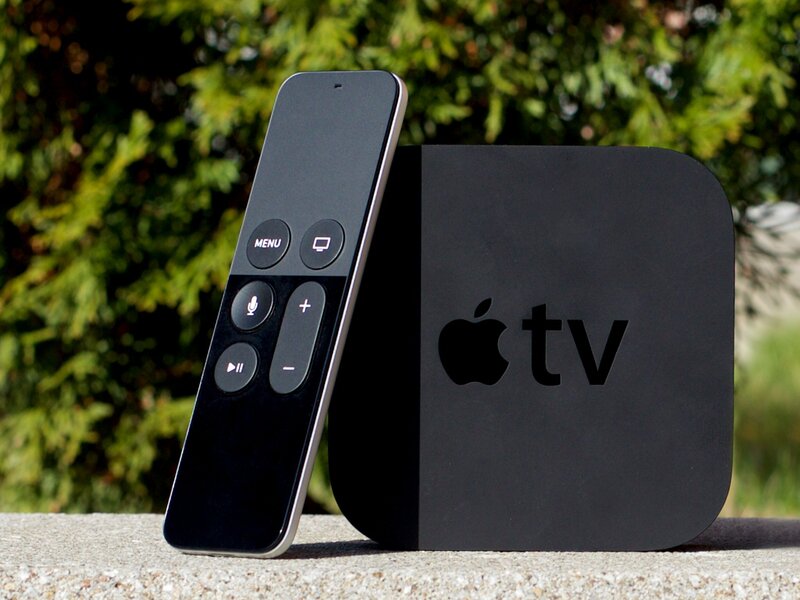 Is there anything about watching movies and TV shows in iTunes on Apple TV that you would like to know more about? Let us know in the comments. Updated August 2017: Edited the instructions for skipping 10-second increments, as you no longer need to confirm the skip. Added a couple of sections about watching movies and TV shows using the TV app and removed the section about streaming from the separate Movies and TV Shows apps.